Whittle Shortline Railroad: All Train Tracks 50% Off! You are here: Home / Sponsored / Whittle Shortline Railroad: All Train Tracks 50% Off! Train sets and Christmas go hand in hand. Isn’t it funny that every classic Christmas movie has a train set running around the tree? I wonder where that came from? I know my boys had a huge train set and loved it! 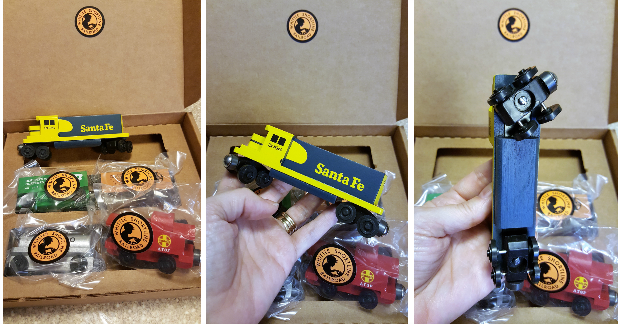 I was so excited when I received a set of train cars from The Whittle Shortline Railroad company to try out and tell you about! 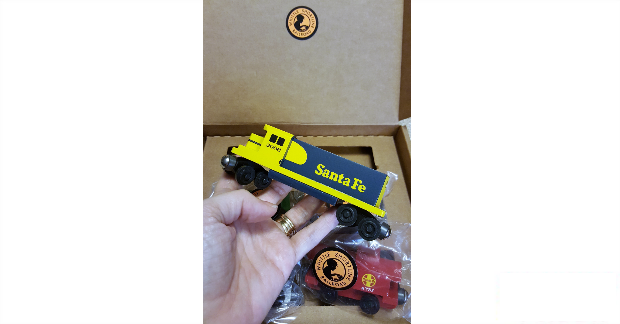 First of all, when I ordered I was able to choose the railroad I wanted – I chose the Sante Fe. My grandfather worked for the railroad and I loved to hear his stories! When the train cars arrived – I thought “Hmmm… Whittle Shortline Railroad – I thought these would be wood…” They felt and looked like metal – but, they are wood! SO very sturdy! 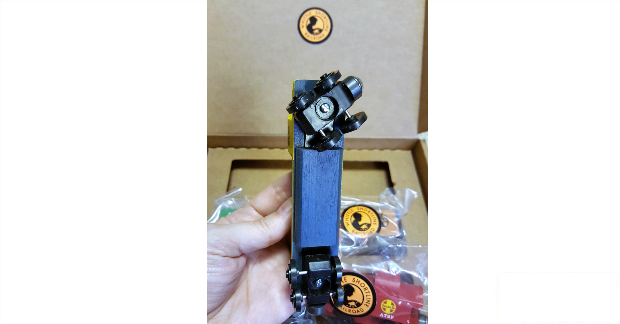 They are solid wood, and the wheel assembly is great – they are able to turn easily and glide very smoothly! I am definitely impressed and can’t wait for my Grandson to see them on Christmas – he will be thrilled! Right now you can get 50% off tracks, too! What a fun present this would be! New train released each month starting in December 2016! Sign up for the email list to be the first to know! 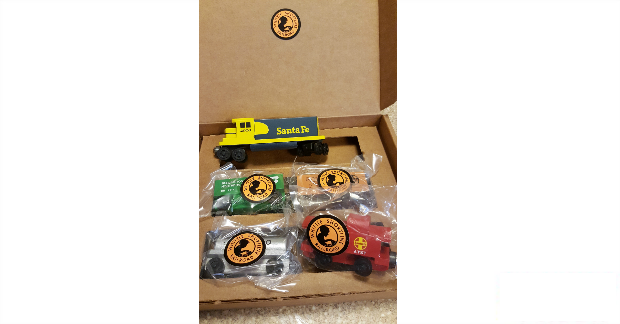 Whittle Shortline Railroad Toy Trains … made by our family for 20 years. If you have a train lover in your life – Whittle Shortline Railroad is a site you’re gonna want to bookmark and return to often!